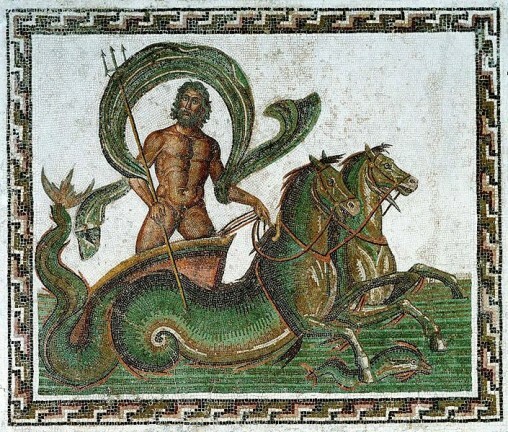 This is a supportive image for Nereis Riding a Hippocampus. 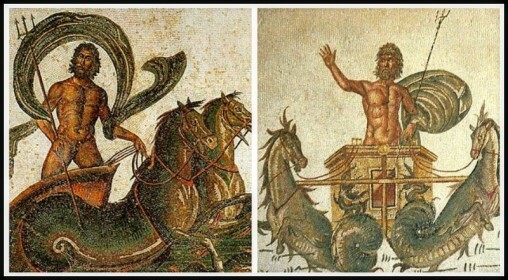 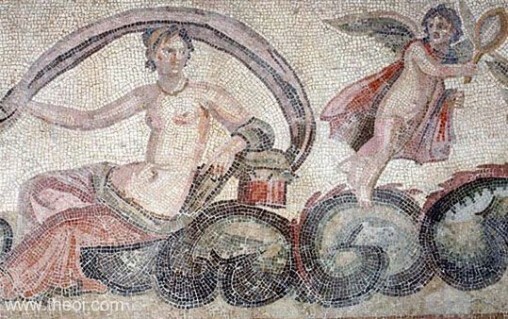 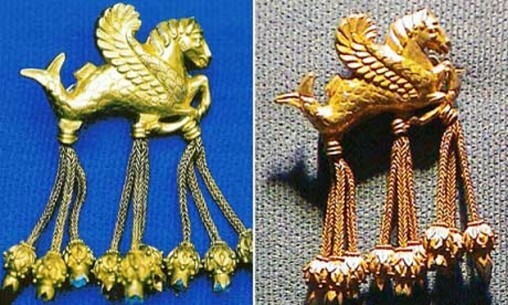 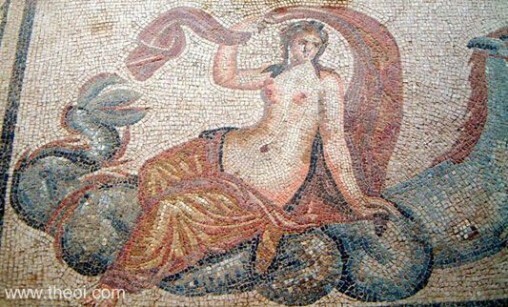 It shows Nereis, Hippocampus and the love god Eros. 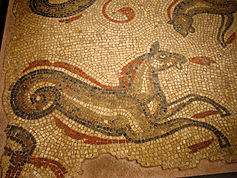 This is a mosaic of a hippocampus. 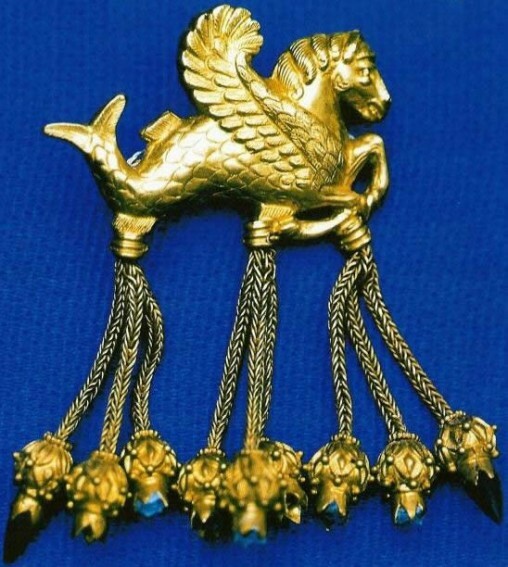 Hippocampus are seahourse like hybirds. 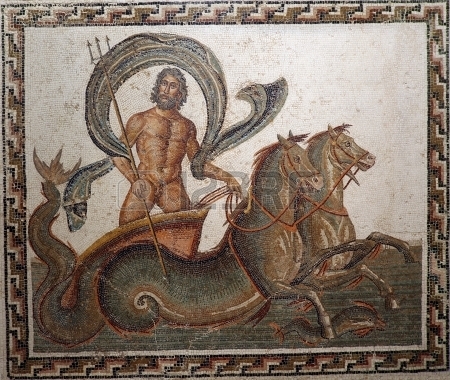 Nereis is seen riding a hippocampus.